Profile Response: The Addict who came to Dinner, Seattle, WA | How Will We Live Tomorrow? Houses along Lake Washington in Northeast Seattle offer little to the street – a double garage door, a well-lit front door, perhaps a window or two. The homes’ solid public faces convey a message of affluence, security, and comfort. For every passerby knows that past these walled facades are broad expanses of exclusive views. A narrow passage led from the street-side garage to a bright kitchen. The sun glistened on the water beyond. My host, Carol, introduced me to the five people she’d invited to discuss how will we live tomorrow. Her 23-year-old daughter Becca focused right in, “What’s the most common answer you get?” I explained that many folks respond, ‘One Day at a Time’, particularly people in AA. A flash of shared glances among the group betrayed that either I had just broken the ice, or stepped on glass. Carol’s son Jake came in before I could sort it out. His girlfriend Jasmine apologized for running late because she just came from a meeting. 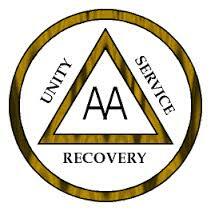 That’s when I realized that the first words out of my mouth, about AA, resonated in a household steeped in recovery. The stability I had perceived on this tony street was a facade; alcoholism disrupts people at all levels of real estate. We were eight in all. Jake added up our years in the program: four for Carol, twenty-one for her sponsor Grace; seven for Becca, nine for Becca’s friend Sue, four for Jake and two for Jasmine. Grace’s son Philip was the only other guest who didn’t offer up the years since he’s been sober. Dinner was wonderful, the conversation far ranging. Carol’s an attorney, Grace is a nanny, Becca just finished a Masters Degree in Psychology, Sue is an actuary. Every person at the table was thoughtful. Philip had a beer and offered me one. He didn’t say much, but when Carol prompted him with my question, he gave a telling response. Immediately I knew that Philip’s story was different from the others. In all my travels, only one other person had described tomorrow in opposition to today; a jittery drug user I met in Spokane. Tomorrow may not be the same as today, but it grows out of today. Our tomorrow is related to today. My mouth dropped open. I couldn’t understand how all these people, working so hard, and well, on their recovery, could have a heroin addict in their midst. Carol explained. “That’s why Grace and I go to Al-Anon every Monday night. To accept. I follow the slogan ‘Live and let live.’ That means I have to embrace my own life. It also means I have to accept that my children might not live. Alcoholism kills people. Drug addiction kills people. If they die, I will have to go on. Same with Philip. Grace and I face that together. I have met many people in AA in my travels, and respect every one of them. But I was particularly moved by a group in recovery who accepted someone in such a different place with so much grace. I fell asleep wondering about the two men I’ve met who desire a tomorrow completely different from today: because today is unbearable; because they can’t find a proper place to root; because drugs disjoint our experience. Drugs fracture the continuity of existence. We take drugs to shoot us into altered realities, but they only deliver temporary, distorted perception. Note: the events of this profile are true. The names and location have been changed. 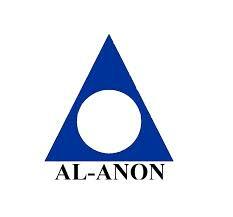 This entry was posted in Responses and tagged AA, Al-anon, Alcoholics Anonymous, drug addiction, heroin. Bookmark the permalink.